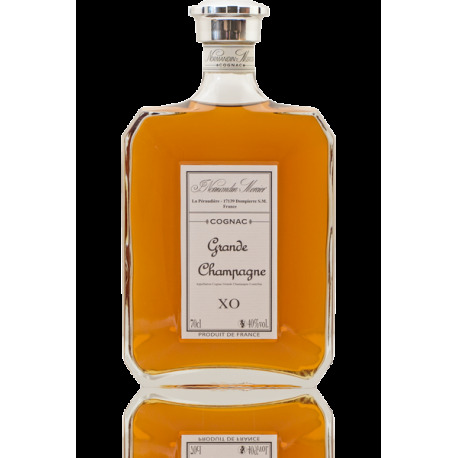 Cognac Grande Champagne XO Decanter, First Vineyard of Cognac. 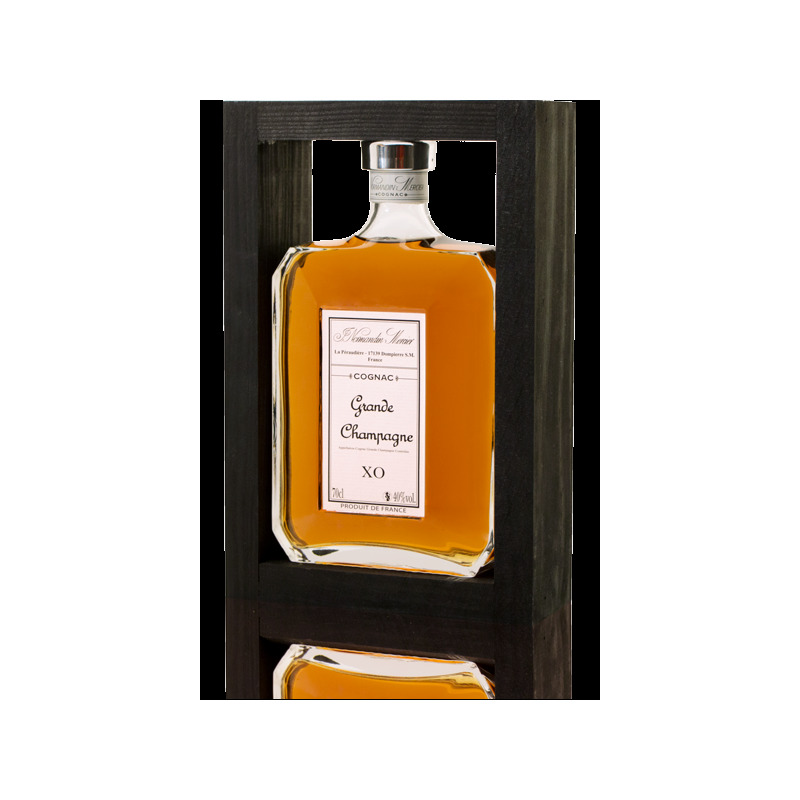 Full and soft spirit although having preserved a certain ardour thanks to its ageing in red barrels (trunks). Eye: gold supported with amber reflections. 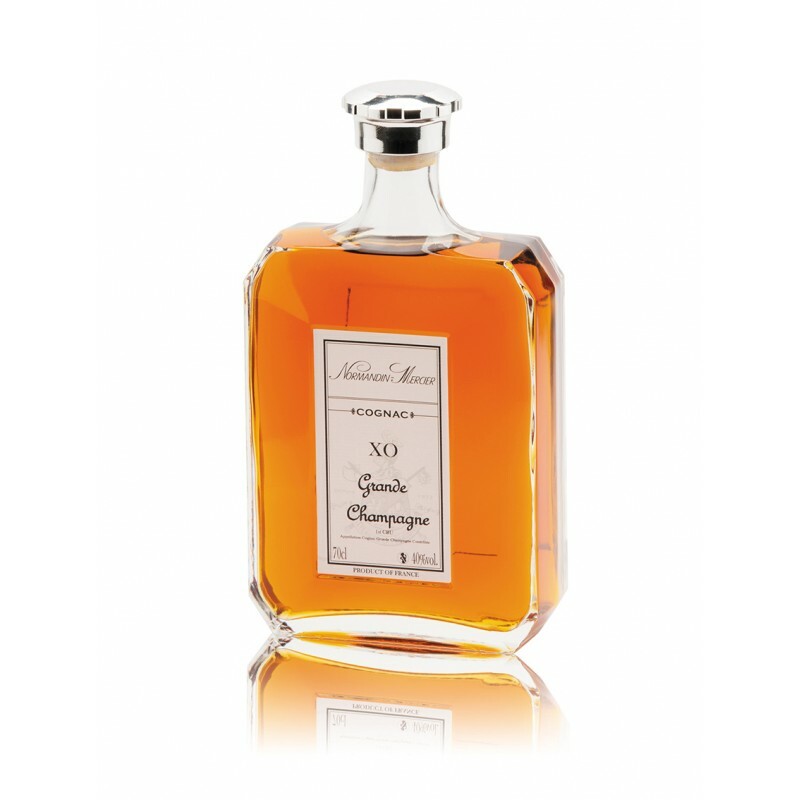 Nose: dominants fruity (dried fruits among which hazelnut and almonds, candied fruits, citrus fruits), spiced (cinnamon, vanilla), sweetened (honey, toffee fair). 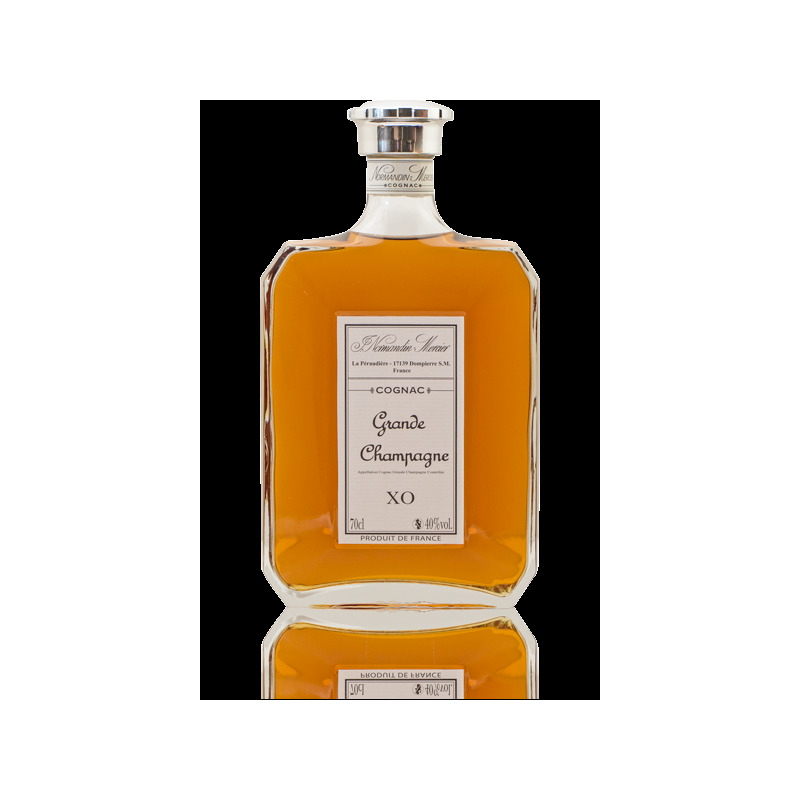 Notes rancio (Porto), empyreumatique (smoked, chocolate-brown), cereal (brioche), vegetable (dry spices, light tobacco), Woody. Mouth: ample and round. 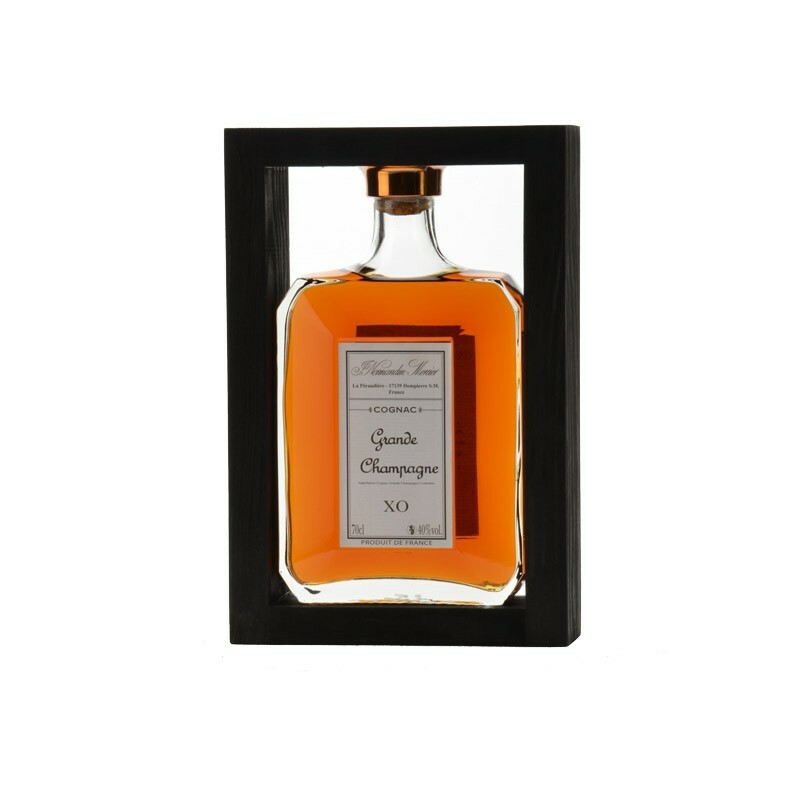 Fruity (dried fruits), spicy, woody, empyreumatique, long. Synthesis: give a complex, ample, elegant. To sample quietly.